The Braves announced today that they’ve hired Andruw Jones as a special assistant to the baseball operations staff. The addition of the recently retired Jones will reunite him with the other most famous Jones in Braves history — former teammate Chipper Jones, who also signed on as a special assistant in the Atlanta front office this winter. “We are very excited to add Andruw to our staff as a special assistant,” said general manager John Coppolella in a press release. ““He is perhaps the most accomplished defensive outfielder in our organization’s history and one of the best in baseball history. He signed at the age of 16 and was developed in this organization. He can offer a lot of experience and knowledge to our young players and we look forward to his contributions.” Per the release, Jones will serve as a spring instructor, specialize in the development of the organization’s young outfielders during the regular season and also assist the front office with its international initiatives. Ruben Tejada is on the fringe of the Mets’ roster as the regular season approaches, Kristie Ackert of the New York Daily News wrote over the weekend. Ackert cites two club sources in reporting that nothing is guaranteed to Tejada in terms of a roster spot, despite the fact that he’s slated to make $3MM after avoiding arbitration this offseason. (It’s worth noting that arb salaries are not fully guaranteed, so the Mets could cut Tejada and owe him just 30 days of termination pay (roughly one sixth of his salary) so long as he’s let go more than 15 days before Opening Day. Alternatively, they could cut him within 15 days of the season and owe him 45 days’ pay, so long as he’s not on the Opening Day roster. As Ackert notes, the fact that the Mets awarded Tejada an extra day of service last week, essentially permitting him to reach free agency a year sooner than expected, indicates that they don’t consider him much of a future piece. Beyond that, Wilmer Flores can capably serve as the team’s utility infielder, potentially making Tejada redundant. Zack Wheeler threw 10 pitches off a mound this weekend, writes Mike Puma of the New York Post, and while that may seem like a small step in his recovery, it was the first time the right-hander has pitched off a mound since undergoing Tommy John surgery last spring. The original plan for Wheeler was to have him throw off a mound in January, but the medical staff pushed that date back a bit, and Wheeler is on board with the decision.Wheeler is looking at about a 15-month window from surgery to his return, Puma writes, and the Mets will hope that the re-signed Bartolo Colon can handle his rotation spot in the interim. Bronson Arroyo hopes not only to make the Nationals’ roster out of Spring Training, but also to pitch beyond the 2016 season, he tells Tyler Kepner of the New York Times. “I’ve been saying for a long time, I’m going to outlast Papi,” Arroyo playfully told Kepner in reference to his former Red Sox teammate, David Ortiz. “…He might outlast me if I don’t make this club, or if my arm can’t handle the torque of pitching multiple innings. But I’m proud of what I’ve done in this game, man. If I don’t make it out of this camp and this arm just won’t go, I’m completely satisfied with what I’ve done in the game.” Kepner’s piece is a great look at Arroyo and includes his retelling of surprising trades from the D-backs to the Braves and then the Dodgers last season despite knowing he wasn’t able to pitch. Arroyo also discusses his decision to sign with the Nats over the a reunion with the Reds, including what a significant role new manager Dusty Baker (his former Cincinnati skipper) had in that decision. Free agent reliever Joakim Soria has long been rumored to be drawing interest from several of his former employers, and at least two of them are still in the hunt, per a tweet from Anthony Fenech of the Detroit Free Press. The current “front-runners” to land the righty, it seems, include the Royals and Rangers — but not the Tigers, who just dealt for Francisco Rodriguez. Interestingly, the other top pursuer is largely a newcomer to the chatter on Soria: the Giants rate as one of the three most likely landing spots, according to the report. Five or six clubs have expressed interest in signing Chase Utley as a “mostly everyday infielder,” agent Joel Wolfe tells Andrew Baggarly of the Mercury News (Twitter link). The Dodgers are one of those teams, per the report (and as suggested previously). Utley would probably be best served as a platoon option at this point, though he’d presumably see plenty of action if he gets most of the time against right-handed pitching. The representatives of shortstop Ian Desmond are highlighting his defensive versatility to prospective clubs, Anthony DiComo of MLB.com tweets. That’s a bit surprising to hear, given that much of Desmond’s value is tied to his ability to play short, where he rates as a solid defender despite being prone to committing errors. DiComo notes that Desmond has played outfield previously, which is true — but only barely. Desmond has appeared in the outfield in exactly four games as a professional: twice with the Nats, once in Triple-A, and once in the Dominican Winter League. Indeed, he’s only ever played eight other games at any position other than short, with all of those coming in the way of minor league appearances at second. None of that is to say that Desmond can’t play elsewhere on the diamond. After all, he is an excellent athlete. And perhaps the idea of eventually moving to the grass would make the back end of his deal somewhat more palatable. Veteran outfielder Andruw Jones is looking for a chance with a big league club and will retire if he doesn’t find one, SB Nation’s Chris Cotillo reports on Twitter. The 17-year MLB veteran, now 38 years old, last appeared in the majors in 2012. But he was rather productive for the NPB’s Rakuten club between 2013 and 2014, slashing .232/.392/.441 in 1185 total plate appearances. It is worth noting, though, that Jones did not end up playing last year after reportedly seeking another shot at the bigs. The Astros will be looking to add one or even two starting pitchers, though Cole Hamels is “too pricey” for them, according to one team source. MLBTR’s Steve Adams recently explored the case for Houston going after the Phillies southpaw, and 42.44% of MLBTR readers polled thought that the Astros should indeed pursue Hamels. Rival executives aren’t bothered by Hamels’ sub-par performance this season since all of this trade speculation is assumed to be impacting his work. Executives “seem to be split on” whether the Phillies are making the right move in holding out for a blue chip prospect or two in exchange for Hamels, or if they should just be looking to get his big salary off the books for a lower return of young talent. A.J. Hinch’s deal with the Astros is a three-year contract with a club option for 2018. The exact dollar figure isn’t known but Heyman reports that the average annual value is less than $1MM, which could end up being a bargain given how Houston has thus far played under Hinch’s management. While Zack Greinke is expected to opt out of his contract at the end of the season, Heyman doubts he’ll leave the Dodgers since they certainly have the money to sign him to a new deal. One scout suggests that Javier Baez might need “a change of scenery” to get back on track. Baez struck out a whopping 95 times in 229 plate appearances with the Cubs last season, and only has a .755 OPS at the Triple-A level this year. Baez is only a year removed from being considered an elite-level prospect, so while it seems early to consider trading him, Chicago is already deep in young middle infield talent. The Rangers are willing to deal Shin-Soo Choo, rival executives believe. This is no surprise given Choo’s huge contract and underwhelming performance in Texas, though obviously those same issues will make dealing him a tall order. Heyman notes that the Yankees were interested in Choo when he was a free agent two winters ago, though even if Choo turns it around, I’m not sure I see New York taking on a big contract when they already have a pretty full outfield. The Cardinals “will rue the day they made that trade” of Shelby Miller and prospect Tyrell Jenkins for Jason Heyward and Jorden Walden, in the words of one scout. Heyman feels this is a bit of a stretch, even though Miller has been outstanding for the Braves and Heyward has struggled for the Cards (and Walden is on the DL). 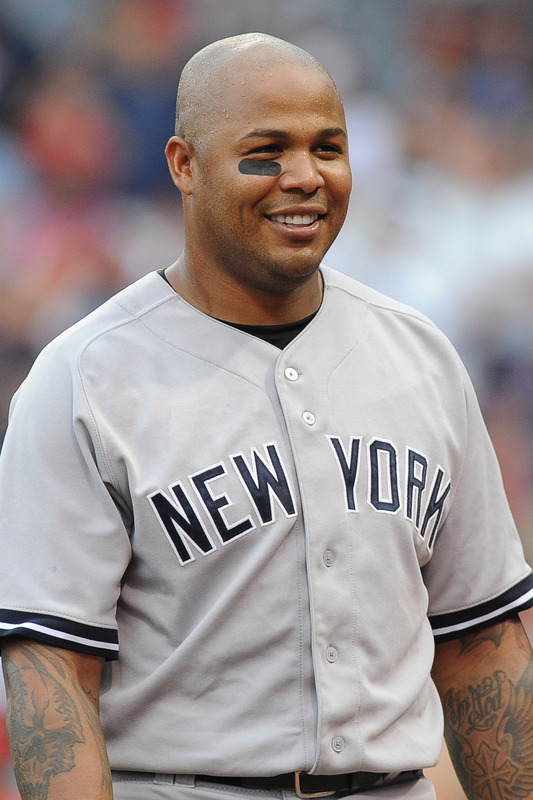 Veteran Andruw Jones isn’t yet planning to retire, though he won’t play in 2015. Jones has played in Japan for the last two seasons and expressed interest in a return to Major League Baseball this winter, drawing interest from at least two teams, including the Indians. According to Heyman, Jones turned down minor league contract offers from multiple teams. After two seasons in Japan, Andruw Jones could be headed back to major league baseball. Agent Scott Boras tells Nick Cafardo of the Boston Globe that there are at least two teams with interest in the veteran as a DH and/or right-handed platoon player. The 37-year-old (38 in April) last appeared in the Majors with the Yankees in 2011-12. After a strong .247/.356/.495 batting line in his first season with the Bombers, Jones slipped to .197/.294/.408 in 2012, prompting him to sign in NPB the following offseason. In parts of 17 Major League seasons, Jones batted .254/.337/.486 with 434 home runs and won 10 consecutive Gold Glove awards from 1998-2007. Over the last two seasons with the Rakuten Golden Eagles, Jones has slashed .232/.392/.441 with 50 homers combined. This past season Jones managed to tamper down his strikeout rate a tad (27.2% to 24.1%) while improving his already solid walk rate (17.3% to 20.3%). Former Major League All-Star Andruw Jones has re-signed a one-year deal with Nippon Professional Baseball's Rakuten Golden Eagles, according to a report from Nikkan Sports (Japanese link). Rakuten has since announced the deal's value at 400 million Yen, or roughly $3.8MM. Jones is represented by agent Scott Boras. Jones played for the Golden Eagles last season alongside new Marlins third baseman Casey McGehee and the offseason's hottest commodity, Masahiro Tanaka. In 604 plate appearances with Rakuten, Jones batted .243/.391/.454 with 26 home runs. He struck out in more than 27 percent of his plate appearances but also walked at a whopping 17.3 percent clip (in addition to getting hit by 15 pitches). The 36-year-old last appeared in the Majors with the Yankees in 2011-12. After a strong .247/.356/.495 batting line in his first season with the Bombers, Jones slipped to .197/.294/.408 in 2012, prompting him to sign in NPB the following offseason. In parts of 17 Major League seasons, Jones batted .254/.337/.486 with 434 home runs and won 10 consecutive Gold Glove awards from 1998-2007. MLB Daily Dish's Chris Cotillo reports that Jones drew interest from two Major League clubs but elected to return to Japan. Jones will play the 2014 season alongside fellow former All-Star Kevin Youkilis, who signed a one-year deal with Rakuten this offseason as well. SUNDAY: The Rakuten Eagles have officially announced the signing of Jones, reports the Associated Press (via ESPN.com). TUESDAY: Andruw Jones has agreed to play in Japan for the Rakuten Eagles, according to an Associated Press report (via ESPN.com). Nikkan Sports reported the agreement four days ago (via Patrick Newman of NPB Tracker). Jones, a client of the Boras Corporation, will earn $3.5MM or so assuming he passes his physical, according to Nikkan Sports. Jones played for the Yankees in 2012, hitting 14 home runs and posting a .197/.294/.408 batting line in 269 plate appearances. The 35-year-old played both corner outfield positions and earned a $2MM salary. A right-handed hitter known for his success against left-handed pitching (.258/.357/.496 career batting line), Jones hit ten of his 14 home runs against southpaws in 2012. The 17-year MLB veteran has 434 career home runs, ten Gold Gloves and five All-Star appearances. Though his production declined after he turned 30, Jones has still been worth 59.5 wins above replacement and could be considered a Hall of Fame candidate. Blue Jays first base coach Torey Lovullo is a strong candidate to join Farrell with the Red Sox, perhaps as the team's bench coach, Peter Abraham of the Boston Globe reports. We heard lots about the possibilities for Lovullo yesterday. Yankees GM Brian Cashman acknowledged that Alex Rodriguez is not a superstar, but said he's still an "above-average" player, Peter Botte of the New York Daily News reports. The GM repeated that a deal involving Rodriguez seems "unrealistic." The 37-year-old has five years and $114MM remaining on a contract that includes no-trade protection. Derek Lowe, who pitched out of the bullpen for the Yankees down the stretch, says he would like to start again in 2013, George A. King III of the New York Post reports. Lowe hits free agency this offseason and probably won't interest the Yankees as a starter in the estimation of Mike Axisa of River Ave. Blues. 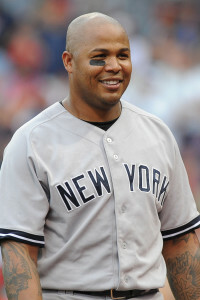 Andruw Jones, who also hits free agency this offseason, said he intends to play for four more years, according to King. The Yankees and Andruw Jones have agreed to a one-year deal with a $2MM base salary and $1.4MM in incentives, reports Jon Heyman of CBSSports.com (Twitter links). The deal is pending a physical. The Yankees have a full 40-man roster and will need to clear a spot once the signing becomes official. Jones, 34, hit .247/.356/.495 with 13 homers for the Yankees last year, doing most of his damage against left-handed pitchers: .286/.384/.540 with eight homers. He figures to again serve as the team's fourth outfielder, spelling the lefty hitting Curtis Granderson and Brett Gardner against the AL East's tough southpaws. Jones is a Scott Boras client.